BigCommerce is an e-commerce platform that allows online retailers to easily build a storefront to sell products on their website. The product is 100% web-based and is an all-in-one solution that provides a website, domain name, secure shopping cart, catalog, CRM, email accounts and other features to online retailers. The company powers over 35,000 online stores in more than 65 countries. Hosted E-commerce Tools: You’ll get a website, domain name, secure shopping cart, payment gateway, CRM, reporting, mobile-optimized store, and more. Customized Design: Choose from a variety of themes, upload your own CSS/HTML, or work with their pro designers to create a unique site. Built-In Marketing: Discount and coupon codes, social media integration, customer lists, and more. Search Engine Optimization: Access to higher search rankings, resulting in more store traffic. Multiple Payment Options: Choose from over 60 payment gateways such as PayPal and Authorize.net. In addition, you’ll pay a flat monthly rate instead of transaction fees, and get access to their in-house support team. Automatic Order Importing: With one click, you can import all of your orders into Stamps.com. 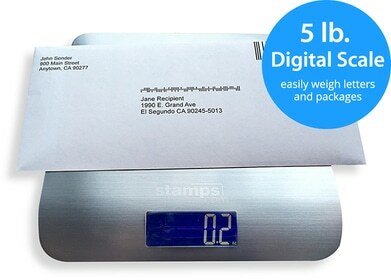 Plus, the software will post-back USPS tracking to your BigCommerce store once the shipping label has been printed. Print all USPS Mail Classes: Print shipping labels for all USPS mail classes, including Priority Mail Regional Rate boxes, Parcel Select Ground and First Class Package International Service. Rapid Order Fulfillment: Batch print up to 1,000 USPS shipping labels at a time – Thermal printers are supported for faster printing. To integrate your BigCommerce store with Stamps.com, simply follow these BigCommerce connection instructions.